Holiday buffets are a popular way to entertain, but these kinds of food service, where foods are left out for long periods of time, can be a health hazard. Here are some tips from the U.S. Department of Agriculture Meat and Poultry Hotline to help you have a safe holiday party. If you are cooking holiday foods ahead of time for your party, be sure to cook foods thoroughly to safe minimum internal temperatures. 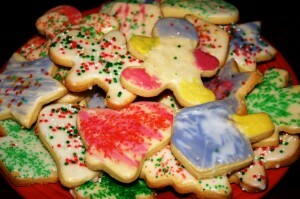 Divide holiday cooked foods into shallow containers to store in the refrigerator or freezer until serving. This encourages rapid, even cooling. Reheat hot foods to 165 °F. Arrange and serve food on several small platters rather than on one large platter. 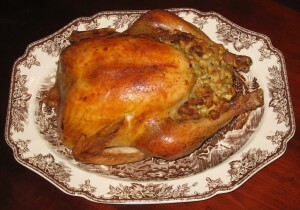 Keep the rest of the food hot in the oven (set at 200-250 °F) or cold in the refrigerator until serving time. This way foods will be held at a safe temperature for a longer period of time. REPLACE empty platters rather than adding fresh food to a dish that already had food in it. Many people’s hands may have been taking food from the dish, which has also been sitting out at room temperature. 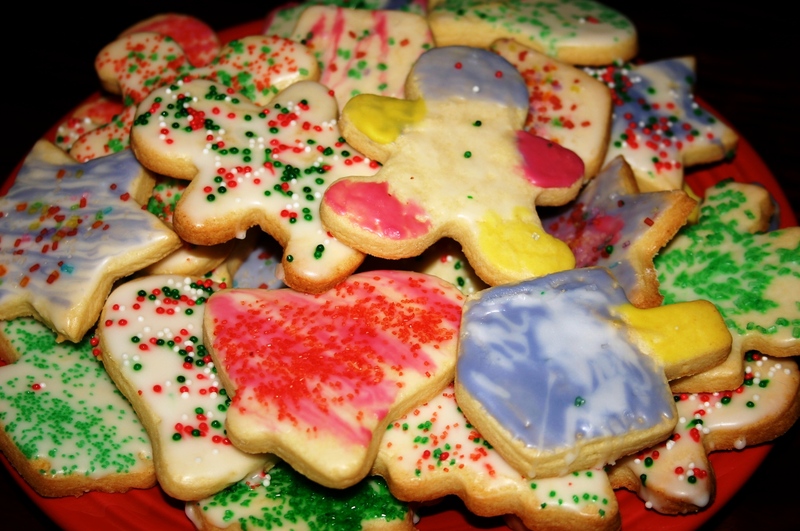 Holiday foods should not sit at room temperature for more than two hours. 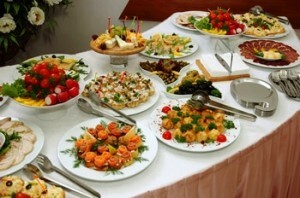 Keep track of how long foods have been sitting on the buffet table and discard anything there two hours or more. Hot foods should be held at 140 °F or warmer. On the buffet table you can keep hot foods hot with chafing dishes, slow cookers, and warming trays. Cold foods should be held at 40 °F or colder. Keep foods cold by nesting dishes in bowls of ice. Otherwise, use small serving trays and replace them. Bacteria are everywhere but a few types especially like to crash parties. Staphylococcus aureus, Clostridium perfringens and Listeria monocytogenes frequent people’s hands and steam tables. And unlike microorganisms that cause food to spoil, harmful or pathogenic bacteria cannot be smelled or tasted. Prevention is safe food handling. Staphylococcus (“staph”) bacteria are found on our skin, in infected cuts and pimples, and in our noses and throats. They are spread by improper food handling. Prevention includes washing hands and utensils before preparing and handling foods and not letting prepared foods — particularly cooked and cured meats and cheese and meat salads — sit at room temperature more than two hours. Thorough cooking destroys “staph” bacteria but staphylococcal enterotoxin is resistant to heat, refrigeration and freezing. “Perfringens” is called the “cafeteria germ” because it may be found in foods served in quantity and left for long periods of time on inadequately maintained steam tables or at room temperature. Prevention is to divide large portions of cooked foods such as beef, turkey, gravy, dressing, stews and casseroles into smaller portions for serving and cooling. Keep cooked foods hot or cold, not lukewarm. Because Listeria bacteria multiply, although slowly, at refrigeration temperatures, these bacteria can be found in cold foods typically served on buffets. To avoid serving foods containing Listeria, follow “keep refrigerated” label directions and carefully observe “sell by” and “use by” dates on processed products, and thoroughly reheat frozen or refrigerated processed meat and poultry products before consumption. Keep your holiday safe by practicing food safety guidelines.